Minnesota is known for its extensive outdoor recreation, offering some of the best in the Midwest. With over 60 state parks alone, wilderness lovers of all types can find enjoyment no matter which part of the state you’re in. Those people with their pilot license have the ability to take to the skies to visit these areas any time they are looking for a new adventure. Here are 10 of the best state (and national) parks in Minnesota, perfect for private pilots to fly to. In 2010, Lake Vermilion-Soudan Underground Mine State Park became the newest state park in Minnesota, offering a stunning combination of 4,000+ acres and 10 miles of shoreline along Lake Vermillion, as well as the pre-existing facilities at the Soudan Underground Mine State Park. With three-dozen campsites, plenty of public boat launches and miles of hiking trails, this state park is as impressive above ground as it is below ground. Visitors can head deep into the Soudan Underground Mines, dating back to 1963, 27 “levels” below ground in the same elevator cage used by miners when the site was operational. For those flying in, the best time to visit is Memorial Day weekend through September and weekends in October, when tours of the mine are running. For those that are from Minnesota, Superior National Forest is a local’s favorite vacation spot all year round. If you don’t know about Superior National Forest, then you’re missing out. Located in the northeast corner of the state, and covering just under 4 million acres, this national forest is home to the world-renowned camping, fishing and canoeing area known as Boundary Waters (BWCA). The Boundary Waters has more than 2,000 remote campsites accessible via 1,500 miles of canoe routes along the Minnesota-Canada border, with overland portages between lakes. Outside of the Boundary Waters, the forest has more than 1,000 car-accessible campsites within developed campgrounds, for those looking for a less rugged experience. For pilots flying seaplanes, this area can be particularly special because you can fly in and land on many of the area lakes — you could even drop a fishing line in right from the pontoon float. In terms of picturesque, it’s hard to beat beautiful Tettegouche State Park. It seems that no matter which way you wander through the wilderness, you’ll come across a postcard-worthy image. This state park truly encompasses everything that’s great about the North Shore: exposed cliff faces, pebble beaches, lush pine trees and miles of explorable trails. Additionally, those pilots that also get a thrill from rock climbing will be able to enjoy this state park that’s also has designated sections for rock climbing, a rare quality in the state’s park system. If you want to spend the night, the Tettegouche Camp Cabins provide comfortable accommodations that will let you refresh before flying back home. Right on the banks of St. Croix River, William O’Brien State Park offers plenty of year-round fun and is close to the major hub of the Twin Cities and all of the attractions in the Stillwater area, so you’re not too far away from the amenities of an urban environment. With plenty of fun activities to partake in at the park, visitors can try archery, learn the art of stargazing or boost their canoeing skills. Plus, there are drive-in and electric campsites, year-round camper cabins, a swimming beach on Lake Alice, paddle board and kayak rentals, free outdoor sports equipment, berry picking, biking trails, and a kid-friendly visitor center. Set your coordinates to Old Mill State Park, located on an ancient beach of the glacial Lake Agassiz in Marshall County in the northwestern part of the state. There are historic sites that you can tour, including a log cabin and the grist mill, a steam-powered flour mill. The wooded trails are a great place to go for a walk and spot local wildlife and birds, as well as the colorful prairie-land wildflowers. After hiking among the 400 acres of forest, you can visit the picnic grounds and enjoy a snack and then spend some time in the designated swimming area. Camping is available as well if you’d like to stay overnight. Located just 50 miles northeast of Two Harbors, Temperance River State Park is a hot-spot for summer vacationers. The water of Temperance River empties into Lake Superior within the park, and visitors are free to jump from the bankside cliffs into the cool water below — an exciting and refreshing experience that all Minnesotans enjoy. Plus, visitors can hike along the dramatic river gorge on the Superior Hiking Trail or camp near the Lake Superior shore. Pilots can then fly northeast and explore BWCA and the rest of Superior National Forest, located nearby. Most people know Itasca as home to the source of the Mighty Mississippi River, however, it’s also known as Minnesota’s oldest state park. Fly here and spend a hot summer day cooling off in the fresh waters of Lake Itasca, or see if you can make it across where the river is at its narrowest, at about 30-feet wide. Plus, there’s biking, hiking, swimming, fishing, boat tours, camping – and for those who want to enjoy the outdoors without sleeping outdoors, there are plenty of lodging options ranging from a hostel to suite rentals. Perhaps the most unique wilderness in Minnesota is at Blue Mounds State Park. Visitors can see everything from cactus to buffalo to beautiful prairie grasses and wildflowers. The park is also home to a 1,250-foot-long line of rocks aligned by Plains Indians which marks where the sun rises and sets on the spring and fall equinoxes. Visitors that time it right can get watch the sunrise and sunset pass through the rock structure to catch a glimpse of what early settlers experienced centuries ago. While you may not think of Minnesota as a hotbed of volcanic activity, there is a billion-year-old volcanic rock on full display at Cascade River State Park in Lutsen. You will also be amazed by the 900-feet worth of waterfalls located within a three-mile area as the river flows into Lake Superior. The best part may be the reservable campsites right next to the falls — a truly unique experience. Sibley State Park provides access to 2,900 acres of colorful prairies, large bluffs, lush hardwood forests, bountiful wetlands and cool, clear lakes. Hike to Mount Tom, one of several high points in a 50-mile radius, and see a patchwork of forest, farmland, prairie knolls and lakes. During summer, you can enjoy swimming, boating and fishing on Lake Andrew. A canoe route invites adventurers to portage and canoe on Henschien Lake and Swan Lake. Pilots are sure to enjoy flying over the glacier-carved landscape, with views of the dense forest, native prairie grasslands and oak savanna below. Are You Ready to Explore these Fun Places to Fly in MN? 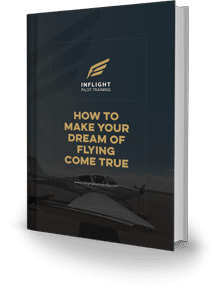 Whether you’re someone that wants to learn to fly or a certified pilot who wants to further their education, the team at Inflight Pilot Training can help you gain the freedom to explore these fun outdoor recreation destinations in Minnesota. If you want to gain the freedom to explore the places on this list, contact Inflight Pilot Training today! We offer fun, affordable flight training in Minnesota, and can help you obtain your private pilot’s license. Get in touch with our team to learn more about the benefits of enrolling in flight school. Ready to get started? 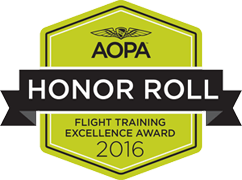 Inflight Pilot Training is a leading flight instruction company serving Minneapolis, St. Paul and the surrounding areas. With a reputable training program and an extensive roster of highly skilled, certified flight instructors, we can give you the freedom to fly to the greatest destinations in our great state.